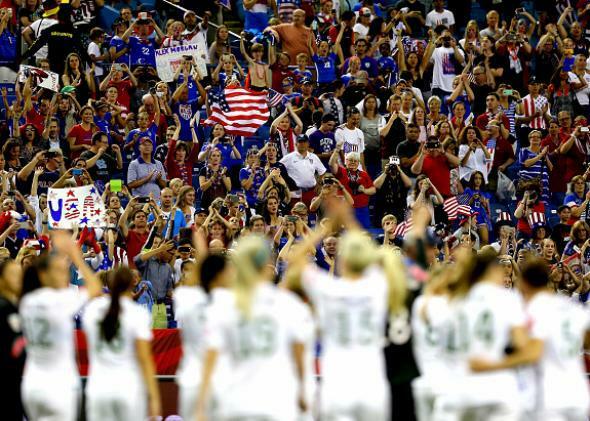 USA v. Japan Preview: Carli Lloyd, Morgan Brian, and Lauren Holiday describe their secret drive to win the World Cup. USA v. Japan: These Six U.S. Stars Were Rejected From Youth Teams. It Made Them Great. Twelve-year-old Morgan Brian sat at the computer at a friend’s house, heart pounding as she went online to find out whether or not she had made Florida’s Olympic Development team. Brian, nicknamed “Plankton” by her teammates, thanks to her tiny size and her feistiness, wanted nothing more than to make the team. She remembers pulling up the list, frantically looking up and down the rows of names. Her name wasn’t there. All ten of her club teammates had made an A, B, or C team—everyone except for Brian. On Sunday, Brian and the U.S. women’s national team will face Japan for the Women’s World Cup title in a rematch of the 2011 World Cup final and the 2012 Olympic final. Brian is not the only U.S. player motivated by early rejection; her story is emblematic of the rest of the team. Five other key American stars described being cut—or not making the cut—at youth levels, and credit their drive to become the best soccer players on the planet to that rejection. The mental toughness that is so often ascribed to the Americans—the mentality that has allowed the Americans to win—is rooted in failure. 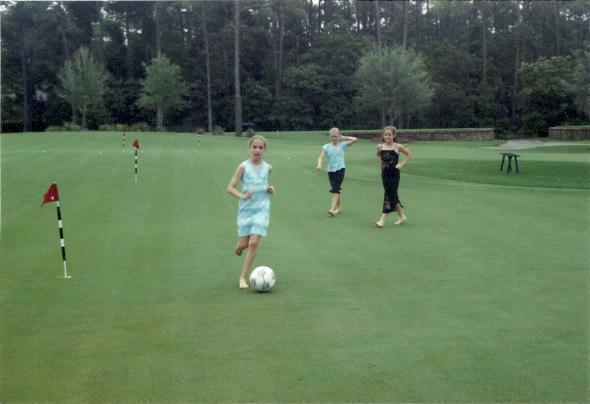 After failing to make the ODP team, Brian played constantly—doing two-v-twos on the St. Simon’s, Georgia beach where she grew up, playing pickup with the guys, trampling the crabs that crept out of the marsh as she worked on fundamentals in the driveway. Her best friend, Anna Barrow, remembers Brian’s fanatical training. After school, Brian insisted they go straight to the field and play until practice. Then they stayed long after practice ended. Brian made Anna work on technical skills—touches, volleys, chest traps. “I didn’t enjoy doing it—but Morgan loved it. She never wanted to stop,” Barrow told me. The next year, Brian made the state team—and then the regional team, and then the youth national team. At 22, she is now the youngest member of the full U.S. national team. Playing as a holding midfielder in the semi-final against Germany, she was the connective glue that held the team together. “She listened to that song over and over—it was like she had to process what happened…and make sure it would never happen again,” said Cheney. Though one evaluator had told Holiday she would never make it as a Division 1 soccer player, she became UCLA’s leading scorer and the NCAA Division 1 Freshman of the Year. Now, Holiday is a starting center midfielder for the national team. Christen Press watched her club teammates make the youth national team; she never got a call up. Press went on to become the top player in college soccer, the leading scorer in Stanford history, and the rookie of the year in the now-defunct Women’s Professional Soccer league. It wasn’t enough to get her a call up to the full team; this failure played a part in her eventual move to the Swedish league, where she developed new aspects of her game and earned a spot on the national team, ultimately scoring a goal in the World Cup opener against Australia. Even the team’s top star at this tournament, Carli Lloyd, believes getting cut from the U-21 team was the wake up call that allowed for her success. In 2015, Lloyd is the leader of the U.S. midfield. On Tuesday, Lloyd was player of the match; she scored the first goal and assisted on the second in the 2-0 victory over Germany. Lloyd has scored in three consecutive matches for the U.S.—every round of the knockout phase. 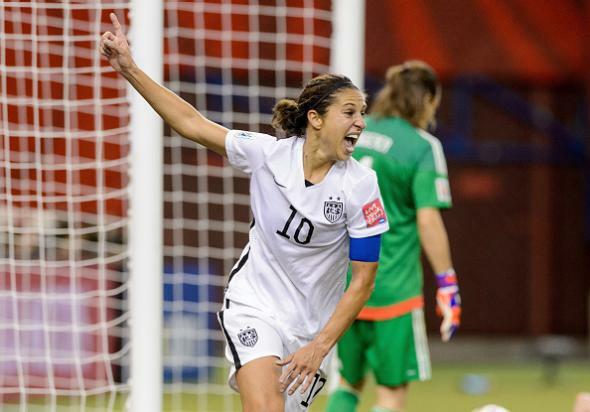 Carli Lloyd celebrates after assisting on Kelley O’Hara’s goal against Germany. Up until the Germany game, many had criticized the U.S. World Cup performance: while they’d managed to come out on top of the Group of Death, they were missing offensive creativity and firepower. Some critics said the U.S. was just not that good, that this was not the USA team of old. Against Germany, the U.S. players—who are clearly so well-versed individually in proving people wrong—set out to collectively show just how great they are. In the World Cup semi-final, the U.S. not only beat the number one ranked team in the world—they made a statement: they dominated possession, created many offensive chances, and played with a level of conviction previously unseen. And—questions of whether or not she should have remained in the game after a head-to-head collision in the first half aside—Morgan Brian may have been the key piece of the puzzle. In the United States’ second game of the tournament, against Sweden, Brian had started as an outside midfielder but never managed to get very involved. In the next game, against Nigeria, she didn’t get on the field. But when Lauren Holiday was forced to sit out the quarterfinal after acquiring two yellow cards, Brian got a second chance to prove her value, this time playing center mid, the position where she’s most at home. Against China, she controlled the midfield, orchestrating passes on the offensive end and winning tackles defensively. She played well enough to convince Ellis to alter her formation—going from a 4-4-2 to a 4-5-1, in order to accommodate all three center midfielders; Lloyd, Holiday, and Brian. As a holding mid against Germany, Brian connected passes all over the field and dominated defensively: she won 6 tackles and had 10 interceptions. The kid who was once the only one on her club team not chosen for the Florida ODP team is now a breakout star for the national team. 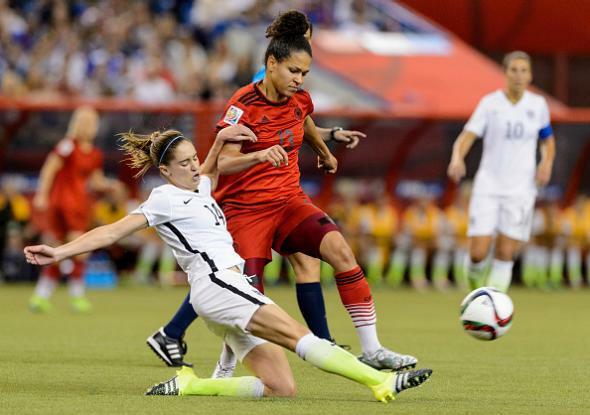 Morgan Brian’s midfield play has been critical for the United States. In recent years, the idea that we benefit from our failures has seen a surge of interest—from JK Rowling’s Ted talk to Conan O’Brien’s commencement speeches, to the growing number of bestsellers examining the psychology of failure. Overcoming failure is also a classic American storyline. The U.S. team will look to keep in that tradition on Sunday, when they have the chance to redeem the disappointments of their last three World Cup campaigns. Based on the team’s personal history, it would be wise not to count them out.